You work with a website developer who purchases a domain name for your firm that will be used for the new website they’re developing for your firm. The domain name is your firm’s name with a .com and there is no question that it belongs to you; that is until you go to cancel, and are informed that the website developer actually owns the domain name. They may sell it to you but it will undoubtedly come with a high price tag because there is a great demand – your online presence is at stake. We have seen this happen time and time again. Every time, it is an expensive, frustrating and quite frankly an ugly process. Before you sign any type of website contract, make sure that you own the domain name, even if the website developer purchases and manages the name on your behalf. This too seems like common sense – any content you contribute to your site or have paid to be written for your firm should belong to you, right? Unfortunately, that isn’t always the case. Be sure to read the fine print which explains who has the rights to the site content should you decide to move your website to another host. The same goes for the graphics used on the website. How many pages can be added? Often website providers sell sites with a set number of pages. For example, purchasing the gold level website development package may entitle you to a 10 page website. While that may seem like more than enough, it often isn’t as a firm grows. 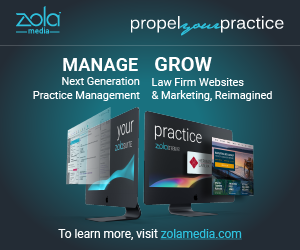 Just think about the basics – you will need a home page, a contact page, one for each practice area and one for each attorney. 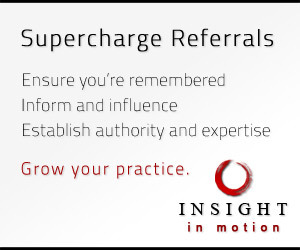 What happens if you win a major award or expand your practice to include additional services? In reviewing your website contract, make sure you have the freedom to add as many pages as you’d like to your website. Can you make changes to your website? Your website developer may be hosting your site but will they make changes to it? Can you make changes on your own? Ideally, you should have both options. In reviewing the contract, take time to understand the cost of updates made by the professionals and also what you can expect in terms of turn-around time. We’ve heard terrible stories of frustrated attorneys who have had to wait three weeks before a terminated employee is removed from the firm’s site. You should also ask for a live demo of the content management system that will power your site. Is it easy to use? If not, look for another website developer. How long are you locked in? Most website providers will lock you into a set contract for hosting. With some of the bigger companies, this can range from one year to five years, often with high costs. But what if they don’t perform? Is there a way out? Be sure to review the terms and don’t agree to any contract that will lock you in regardless of site performance. Which Is Better: A Public Defender Or A Criminal Defense Lawyer? Will Incentives Make Your Employees Work Harder? © 2019 Legalnomics. All Rights Reserved.